Free Family Mediation help parents discuss the arrangements around children access. In family breakdowns, or where there are difficult issues to be resolved, the problem is even more sensitive when children are involved. Despite difficulties between partners or spouses and even when separation or divorce is the only option available, the interests of any children must be central to all decisions. 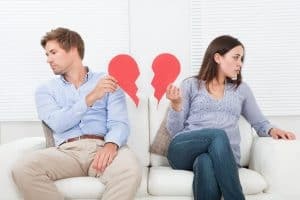 This can sometimes be difficult to resolve for partners or husbands and wives who frequently quarrel or cannot come to mutual understanding. 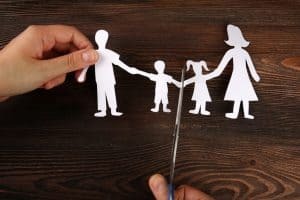 One of the most contentious problems between separating or divorcing couples is the access to children and how to resolve this in an amicable and practical way so that what is best for the children is considered first and foremost. It can be problematic for couples who are in this position to think clearly and objectively, and mediation is an excellent way of supporting parents to come to a decision about care for the children that is most beneficial for all parties. Mediation in these situations can enable parents to try to understand things without the need for endless, heated arguments which are upsetting during an already difficult time and which often do not lead to a resolution. Trained experts in mediation services can help couples to gradually sort out each problem one step at a time in a neutral and safe environment. Obviously, the issues with regard to child access can be complicated and will involve other parties such as grandparents and other relatives as well, and a mediation service will allow parents to logically work through each problem in detail until agreement is reached. Mediators can allow both parties to see things more practically and will help to assess things such as children’s age, temperament and understanding of the situation. Separation or divorce is often more traumatic for younger children but with effective mediation a suitable pattern of routine and security can be developed to protect children as much as possible. Older children may have more understanding of the situation, but in both cases it is necessary to tread gently and establish effective visits, interactions with significant others and predictability and consistency in arrangements. Mediation can be both informal or in a more formal setting which many families find particularly helpful, as a professionally trained mediator can allow all parties to have a voice and promote good communication and work through conflict and issues. The end result is often a written agreement that the mediator drafts with real, workable solutions that both parents have agreed to in a calm and neutral setting. There are many benefits to mediation including the fact that it can often find remedies without recourse to litigation which is costly and time-consuming and, more importantly, it can preserve some of the family structures and foster understanding and decision-making. Mediators always operate in a confidential and non-judgmental manner, and the process can take a huge stress off the shoulders of parents in conflict and allow them to enter into productive negotiations and valid solutions. Where children are concerned this can make all the difference to their happiness and well-being in the long term. Research has shown that, particularly for younger children, it is vital to get child access arrangements settled in a way that supports their extensive need for consistent caregiving, regular access and quality interactions so that children do not become withdrawn or disturbed by any new arrangements. Older children will have different needs that are no less important when drawing up agreements for access. Good quality mediation services have been shown to be crucial in supporting parents, children and extended family members such as grandparents to move forward in difficult circumstances. Mediation can entail as many sessions as families need to attend in order to put good structures in place that will also help children to move forward and thrive.